After having lived separate lives for four centuries, twenty-one paintings are now reunited with the drawings in which they were prepared. 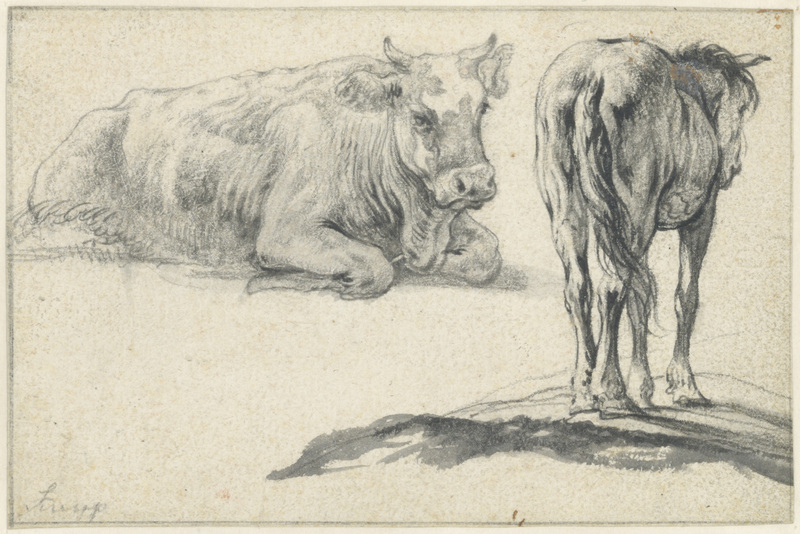 Years of research have been necessary to pair these drawings with an identifiable painting. Following its success at the National Gallery of Art, Washington, the exhibition at the Fondation Custodia offers visitors a chance to immerse themselves in the creative process of seventeenth-century Dutch painters. The immediacy and true-to-life character of Dutch landscapes, still lifes and scenes of daily life seem to suggest that artists painted such scenes from life. However, like portraits and history paintings, they were invariably painted in the studio with the help of preliminary drawings. The many different types of drawings selected for the exhibition illustrate the multiple roles they played in the creative process: sketch books, in which the artists record their first impressions of a landscape or the interior of a church; figure studies, either rapidly sketched from life or carefully finished when drawn in the studio with the help of a posing model, naked or clothed; architectural drawings; drawings ‘documenting’ sea battles and ‘portraits’ of ships used by painters of seascapes; flower studies or topographical studies; large compositions made in preparation for a group portrait… all the genres that are typical of the Golden Age are included here. 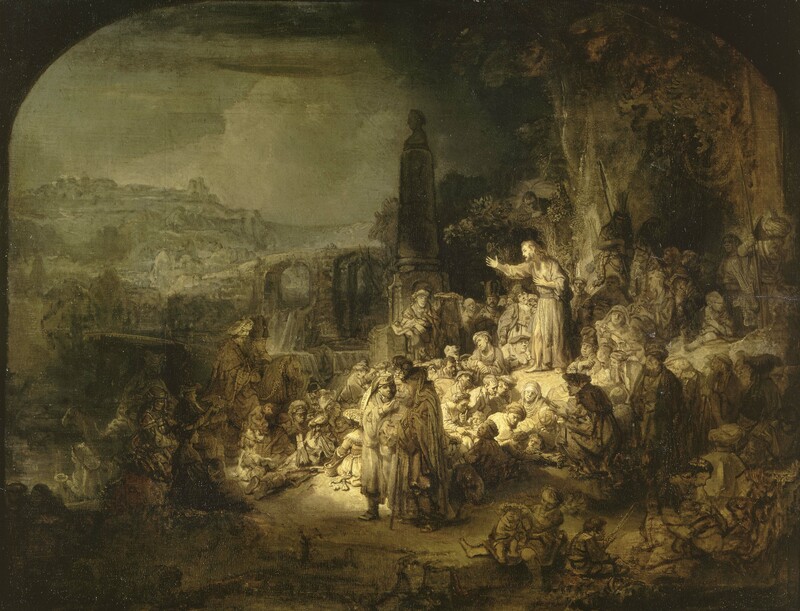 Although Rembrandt was a very productive draughtsman, very few of his drawings can be identified as preparatory for paintings, but one of the few examples is part of this exhibition: the Dutch master made several studies for the complex composition of his St John the Baptist Preaching. The artist can be followed as he searches for a pose, an expression or a costume detail. Jacob van Ruisdael (1628/29-1682), one of the most illustrious Dutch landscape painters, is represented by his plunging view of Amsterdam, obviously drawn directly from life from a position on the scaffolding of a building under construction. 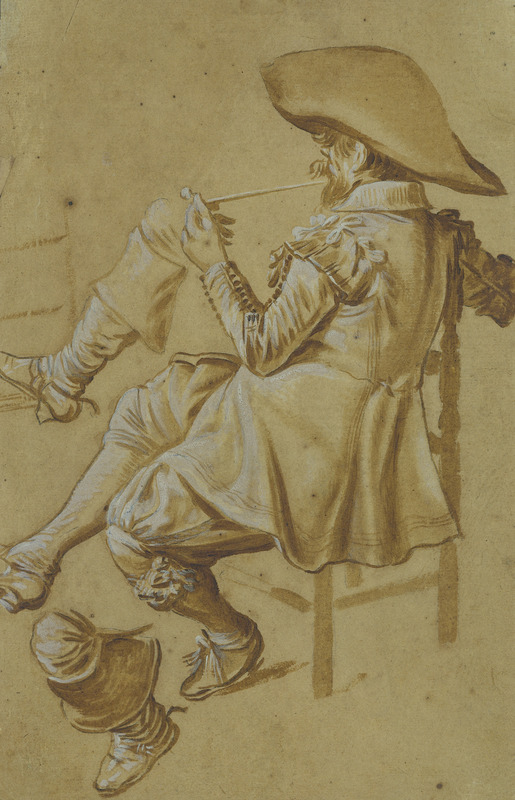 The drawing resulted in a remarkable painting (private collection, London, on loan to the National Gallery). 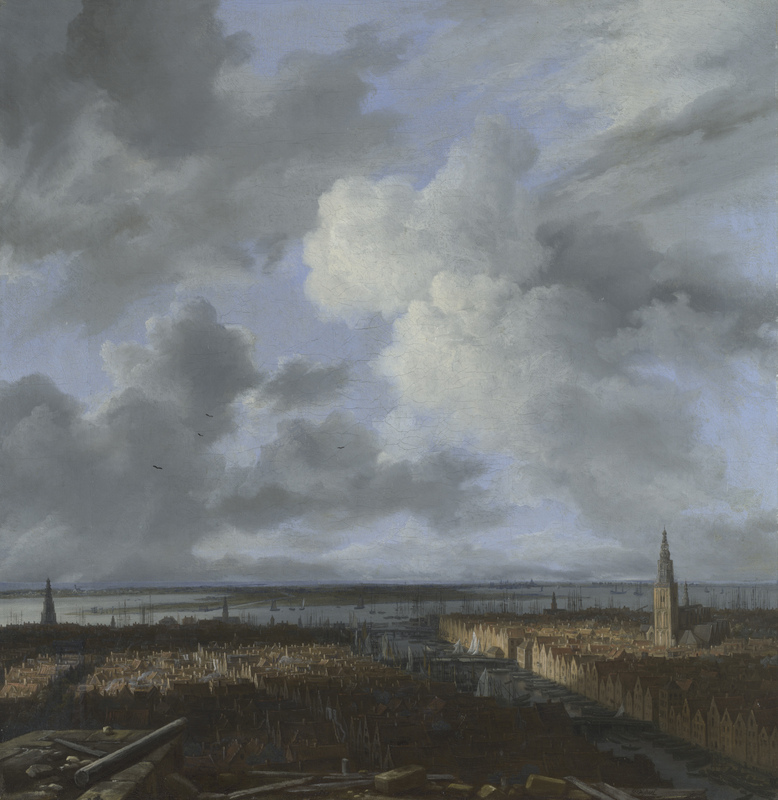 Although the sketch is very boldly executed, it does provide numerous details of the city in the foreground, above which Ruisdael added an extended cloudy sky. The exhibition is accompanied by a fully illustrated catalogue, the work of an international group of specialists under the aegis of Ger Luijten (director of the Fondation Custodia), Peter Schatborn (former director of the printroom of the Rijksmuseum, Amsterdam) and Arthur K. Wheelock Jr (curator of Northern Baroque Paintings at the National Gallery of Art, Washington). 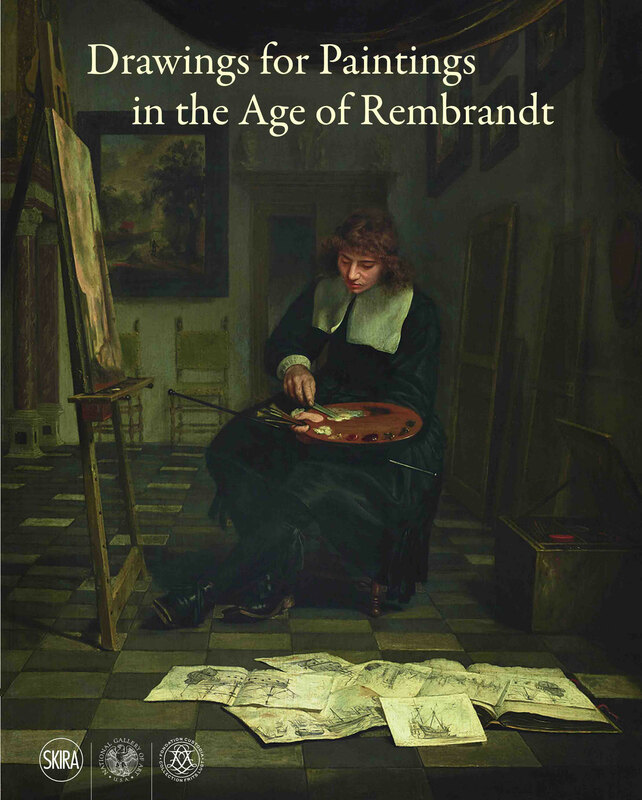 Their three essays and many case studies provide the reader with a comprehensive panorama of seventeenth-century Dutch painting and draughtsmanship. To order this book, please fill out the form below. You will receive an invoice by e-mail, including package and postage fees. Payments can be made by bank transfer.